Trump's increasing aggression toward China and his strong desires for increases in tariffs have many companies worried. 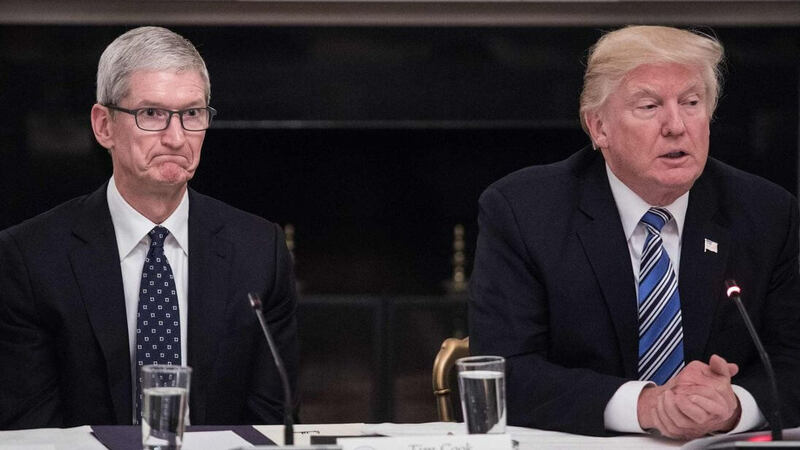 In a public letter to the government, Apple highlighted how the latest $200 billion worth of tariffs would "ultimately show up as a tax on U.S. consumers, [and] they will increase the cost of Apple products that our customers have come to rely on in their daily lives.” As you can see in Trump's tweet above, his solution to that is for Apple to finally move production to the US, something Trump has been campaigning for since before he was elected. So, will they? To begin with, it's hard to be sure the tariffs will even eventuate; despite Trump saying on Friday that they would "take place very soon," the White House says they are still receiving feedback from the community and no decision has been reached yet. Secondly, the tariffs would not drastically affect Apple's trillion dollar bottom line, the largest product lines they would affect appear to be Apple Watches, AirPods and HomePods. Substantial, yes; cataclysmic, no. It's also very unclear exactly what Trump means when he says, "zero tax." Obviously, Apple would have to pay zero import tax if their products were manufactured here, but Trump hasn't specified what other kinds of tax Apple could be exempt from. It could be a lot, or a little. Plus, a tweet isn't exactly a signed document and it wouldn't be the first time Trump has backed away from promises he's made on Twitter. It's also unknown if any tax reductions would actually make manufacturing in the US worth it. It's alleged that "making iPhones in the US means the cost will more than double.” Apple asked its manufacturing partners Foxconn and Pegatron to investigate the cost of production facilities in the US. Pegatron didn't, saying it simply wasn't viable, and though Foxconn did, they weren't optimistic. It's hard to foresee if Apple will begin manufacturing in America, but even if they do, it could take years before production kicks off.